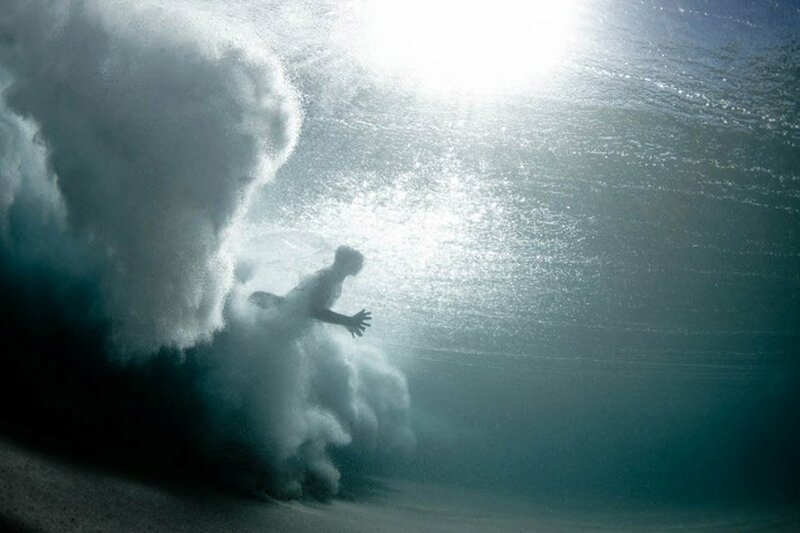 australian photographer mark tipple has created ‘the underwater project‘. the series of images pictures swimmers moving beneath waves, submerged as each break occurs, captured by tipple from below the ocean’s surface. the artist moves below the swimmers and waves, generally photographing from a grounded position on the ocean floor. as the individuals featured in each photo struggle through the storm-like clouds of foam and churning water, the viewer may observe a representation of the immense power of crashing waves. through this project, tipple seeks to document the people of australia’s intrinsic relationship with the ocean. the artist has created a handmade book containing a compilation of several removable prints from the ‘underwater project’, manufactured in a limited edition of 250 copies and found here.